Well, I moved the old stick from slot 3 back to slot 2 and the computer froze on the desktop within a couple of minutes. Restarted and it froze again on this site. If the pattern holds, the next time it will BSOD. So there you have it. Windows 7 is not going to run with anything in slot 2. Go figure. Right now I have one stick of old memory in slot 1 and the newer two sticks in slot 3 and 4. Seems stable. Incidentally, the issue I mentioned about having only 3GB usable memory out of 4GB installed corrected itself. Resource monitor now reports 1MB of memory reserve for hardware. I don't know if that points to anything. At this point, I am wondering if my motherboard is too old to run Windows 7. Epox went out of biz just after I built this computer(my bad luck) so there have been no BIOS updates. New mobo sounds about right. Better yet a new everything. There are not a lot of AM 2 compatible boards that support DDR2 memory. Right now the Red (sockeye) salmon run is peaking at the mouth of Kenai River and my freezer is empty, so computers will have wait for now. Your help is very much appreciated; I learned a lot. Hi guys, ok im fully aware that this is an OLD thread but my issues are exactly the same as tsmonks, so after coming across this via google, i thought id add to this seeing as its relevant. I have done everything that tsmonks has done prior to finding this forum. I have 2 sticks of 2gb ram. Had xp pro for years and years with these sticks together without a single hiccup. Installed Windows 7 Pro 64bit last week and had endless bsod and restarts. Updated everything imaginable and eventually tried a boot mem test which finds that running both sticks together causes many issues, however testing one stick induvidually causes NO issues at all. But this never seemed to affect my xp pro installation. I currently have 1 2gb ram installed and now Windows 7 is running smoothly, so im wondering if tsmonk managed to solve this issue without buying a new motherboard as tbh i know my board isnt the issue or if there is any further help someone can provide please. 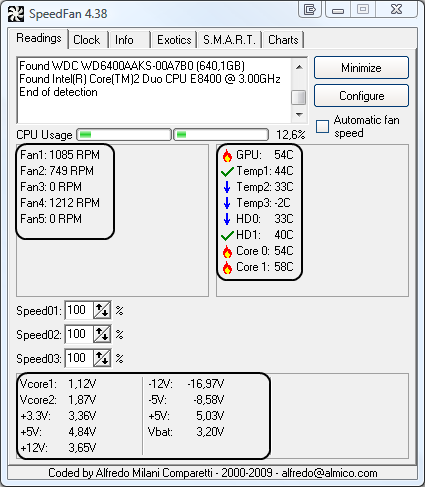 Try using memtest and run the test on each stick by itself. Does either come up with errors then? But again, they both worked together perfectly fine under windows xp. Are your memory slots color coded? So today, i am trying the Kingston in Blue slot A and the GeIL in Black slot A to force single channel mode. I Ran the Memtest86+ just now and it still produces the same amount of errors when they were together in the Blue slots A & B. However I have read recently somewhere that testing two sticks at the same time with Memtest86+ can bring up some errors even if there arent any, so currently i have them in those slots awaiting a bsod or a restart with Win 7. Is there anything i'm missing? These 2 ram sticks, even though slightly different, should be compatible on the same motherboard together shouldn't they? They should be close enough to be compatible. I would suggest as a last resort buying two new sticks and replacing the memory all together. Ok, just got my first hard system restart with no bsod with the ram set up in single channel. We are going with the most obvious cause first.